However, most of the belongings could not be salvaged, according to our reporter, Surjaman Thapa. 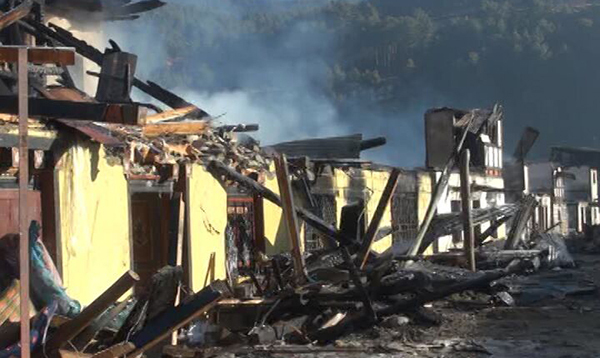 This is the fourth fire disaster in Chamkhar town. The Chamkhar town was nearly wiped out in another major fire in May 2011. 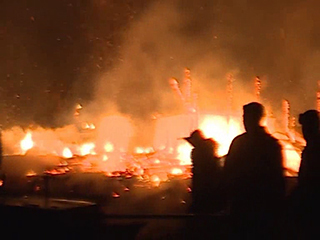 The fire had razed 33 houses to the ground. Eight of the houses had only been constructed as part of the reconstruction. Seven months before the May 2011 fire, the town had suffered two fire already. Most of the residents then had said the fire could have only been set deliberately. They had said it is not possible for the town to be engulfed by fire time and again within a short span.